Another great Columbus Food Truck find is the Pitabilities Food Truck. 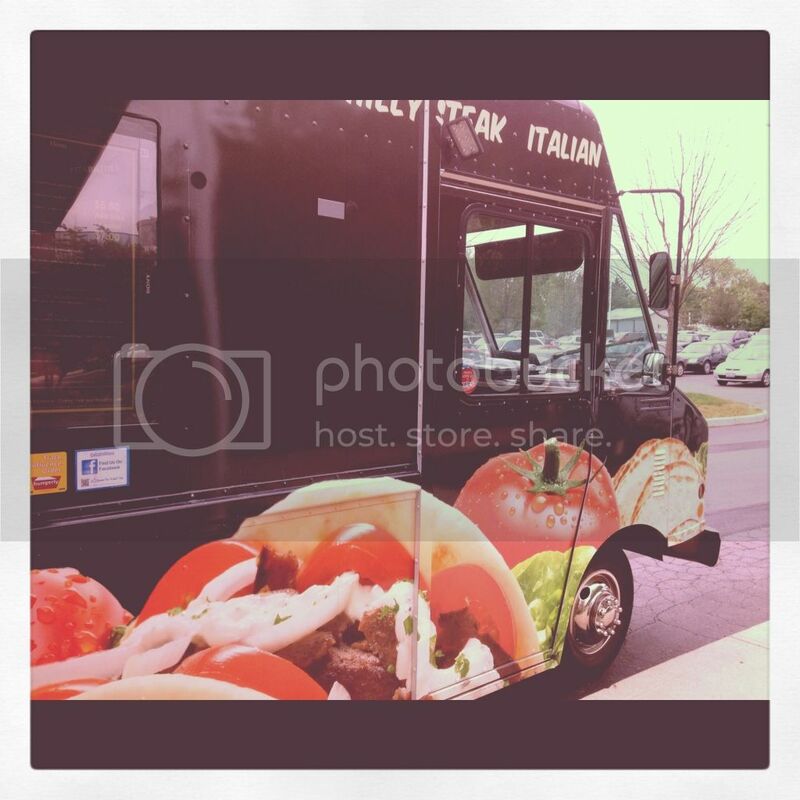 They visited our offices for lunch today, and this truck is one on my list of food truck favorites. I didn't actually get to eat from this food truck today, but below are some pics from a recent visit. 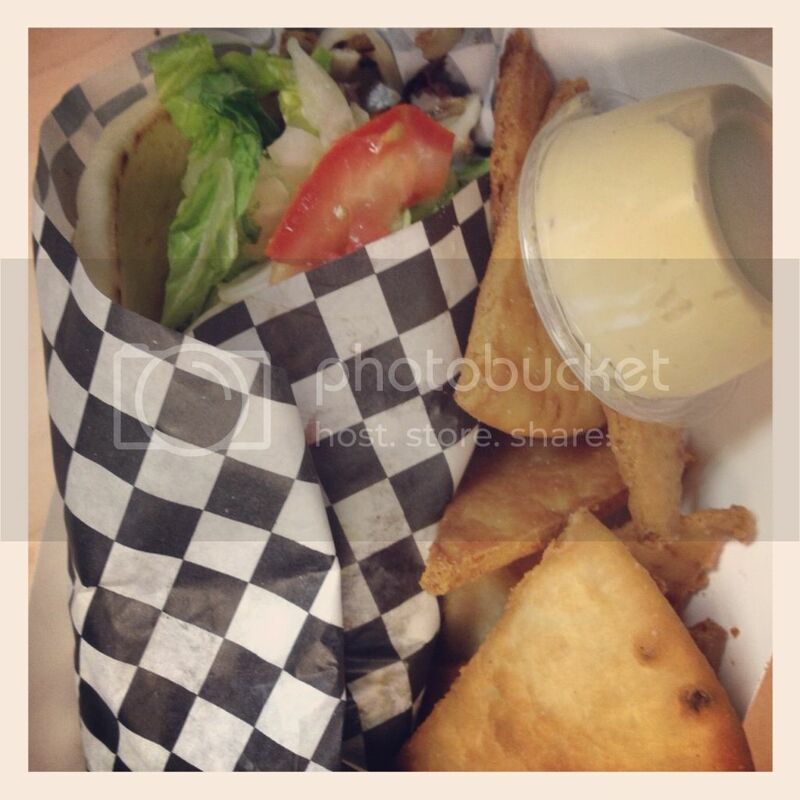 Pitabilities serve fresh and flavorful pitas, wraps, gyros, sandwiches, barbecue and sides. I tried the Philly Steak Pita which included thinly sliced grilled steak, grilled onions, mozzarella cheese, bélla sauce, lettuce, tomatoes on a warm pita. I also enjoyed a side of friend pita triangle chips with garlic hummus. This was probably one of my favorite Philly Steak sandwiches and I think what I really loved was the bélla sauce. The hummus was so fresh and creamy and the warm pita chips were addicting! There are so many other pita sandwiches that I want to try, and I also want to try their cinna chips which are friend pita chips with a drizzle of chocolate, raspberry, vanilla or caramel sauce. This is definitely a truck you should try! Food trucks really are getting popular here, and I'm bummed I haven't managed to try one yet! That Philly Steak Pita looks soooo good! I'll be out of town for the Food Truck Festival, boo!